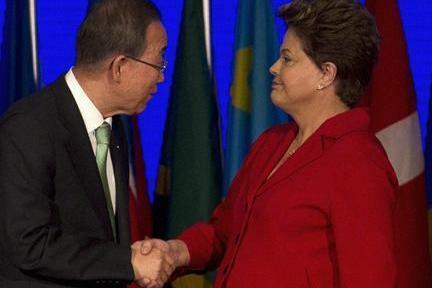 UN Secretary General Ban Ki-moon shakes hands with Brazilian President Dilma Rousseff at the Rio +20 Conference on Sustainable Development. Despite numerous opportunities (e.g., Kyoto 1997, Copenhagen 2009) states have generally failed to produce environmental treaties that are both binding and include the world’s major polluters. For example, on the issue of climate change, states that are responsible for the largest emissions of greenhouse gases (e.g., the U.S. and China) have been unwilling to cause potential harm to their economies by substantially reducing emissions. Developed and developing countries have traded accusations as some of the former have refused to sign on to binding treaties unless the latter countries are also forced to cut emissions (a requirement developing countries view as unfair and hypocritical). MNCs are the primary type of nonstate actor featured in this article, but local governments, NGOs, and prominent individuals are increasingly active in shaping agendas and mobilizing action on environmental issues. What do you think? 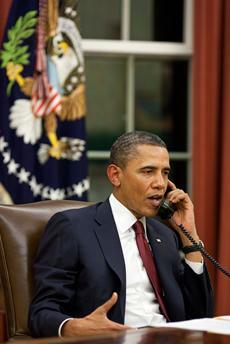 Are nonstate actors now the leaders in dealing with environmental problems? What are the limits of these actors’ influence (if any) in terms of tackling climate change and other issues of sustainable development? Should Americans be more concerned about maintaining economic superiority over China than enjoying economic growth themselves? An American who favored the first option in this question (high American gains even though China gains more and grows relatively stronger) would prefer absolute gains. In contrast, Americans who favor the second scenario (low American gains that nevertheless allow the U.S. to maintain relative superiority over China, our main “peer competitor”) are most concerned about relative gains. Relative gains are associated with the realist approach to world politics and with mercantilism. Absolute gains are associated with the idealist approach and with economic liberalism, or capitalism. While Drezner is overgeneralizing when he leaps from a mere 51% preference for scenario #2 to the conclusion that “Americans are stone-cold mercantilists,” he is correct in linking relative gains concerns with mercantilism. Mercantilism was the dominant economic philosophy prior to the industrial revolution and the rise of capitalism. Mercantilism views wealth as finite and economics as a zero-sum game, meaning that a gain for one country can only come at the expense of a loss for someone else. Such a view naturally leads to a focus on maintaining or improving one’s relative position vis-a-vis other international actors, and it is no accident that this perspective was accompanied by imperialism and efforts to gain every trade advantage possible. In contrast, economic liberalism believes that wealth can be created, so states need not fight over how a finite “pie” will be distributed–the pie can be enlarged and everyone can benefit. What do you think? Are 51% of Americans correct to focus on maintaining their position over China even if this means less absolute prosperity for themselves? Are they wisely looking beyond mere economics to the broader implications of a much stronger China? Or is this kind of thinking outdated and self-destructive? The weekly quiz is now live in MyPoliSciKit. Good luck! 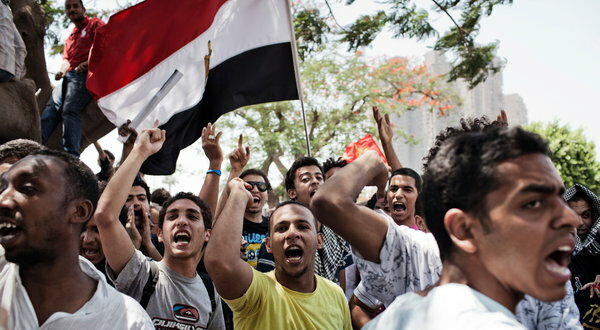 Poll: Is Egypt’s Democratic Revolution Dead? On the eve of the country’s runoff presidential election, Egypt’s ruling military authorities disbanded the democratically elected parliament, seized for themselves the power to make laws, and began devising a constitution that would be to their liking. Do these events mean that the dream of a democratic Egypt is now dead–at least for the foreseeable future? Take this poll and let us know your thoughts.